Some journaling I did following a potent session with my soul sister Lauren Venable. I met this part of me (for the umptieth time) that feels like a dragon. She named herself Shiba. In our session, she kept asking me to trust her and I didn’t want to. There was a lot of fear. A full day went by, and in the evening, while trying to write a newsletter for the chakra journey, this flowed out instead. Although deeply personal, it feels entirely archetypal and very a propos for women’s day, so I thought it might be of service to share it. Let me know how it resonates? P.S. I imagine there’s many spelling mistakes. Please forgive me. Okay, Shiba, what happens if I choose to trust you? She nuzzles me and I climb onto her head, there’s spikes, but she gently wiggles so I find the spot at the back of her head where there’s a perfect groove just for me. I notice it’s the exact size of my bum, I’m grateful she doesn’t judge me for the size of it. I feel a warm hearted chuckle at that, like she’s thinking: “Humans, so insecure, so lovable”. I feel a shudder of sadness pass through me. I know I’m safe. I know I can trust. I lean on her and let myself shake with the grief of holding it all together.I feel a burning show up in my throat and tighten up again, doubt again. I turn my attention to Shiba X no, I distract again, turning to facebook. Shiba is patient. She was expecting this. I feel her point me towards the grief again. She makes no move to move. She stays still. “Feel. I got you”. I fall asleep. As I do, I’m aware of Shiba orchestrating a healing for me… Red energy is moving up like fumes… Licking me, keeping me warm, I am aware of it tickling something tight in my head… she’s gently working the parts that keep me disconnected from her. I stir… those threads of control running strong in me. I feel her putting an energetic hand on my heart, as if to say: ” You don’t know anything about control yet”, “this is bigger than control, this is power and it’s creative”. I’m afraid, but I know I’ve already said yes. I surrender. I feel an awakening at my lower belly. I realize this is how we can move together. She’s already chosen to trust me. Chills run down my right side and I tingle in awe and humility. I want to cast it away, I want to cast her away… She knew that too. She anticipated that too. She holds me. She’s still, giving me time. I’m still. Frozen almost. Getting used to my own fear. Feeling it pulse in my belly. Feeling the contraction in my heart. 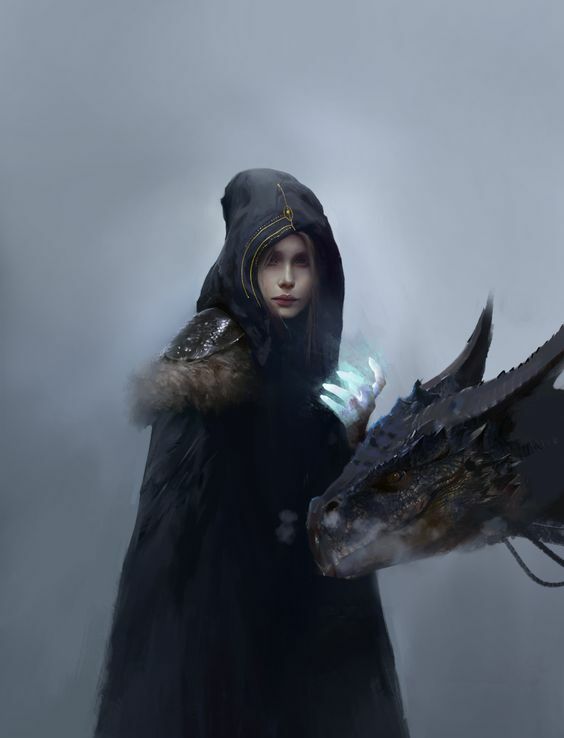 “Only bad girls direct energy or dragons with their pelvis” … the thought crosses my mind. Again I feel a rumbling of amusement and also patient irritation coming from Shiba… As if to say: what a weird twisted place these humans have gotten themselves in. Yet she holds me, patiently, even as she’s internally shaking her head at my goofiness. “I know you feel that way”, she finally pulsates in my direction. Again, shaking overtakes me. We both grieve that thought. Blue light comes and surrounds me this time. I can feel it coming up to my heart, swirling, surrounding, until I hear Shiba’s voice again: “Come, let’s burn this in the embers of the broken patriarchy. It’s time to evolve this thought.” I again surrender to the knowing I have already made this choice and it’s now time to do it. “Ready for some adventure, sweets?”, Shiba says with barely suppressed mirth. – You mean we’re gonna fly?! – Yeah, and you’re gonna feel like such a badass. She gives me a moment of frozen terror and the second she feels my rising giggles she lurches off the ground. “Shiba, you’re beautiful. You’re powerful. You’re magic. You’re incredible. I believe in you. I trust you.” I start crying because I realize all the times I didn’t see and couldn’t encourage her. My throat burns up as if to say “don’t say things like that. You’ll get in trouble”. I feel a burning in my belly, a fury mounting: “No. I choose to trust. Damn the consequences.” Shiba pulls out in a smooth swoop. I feel the rushing of air, the tightening in my hips. This is going to take some getting used to… but I feel the exhileration of feeling the cool air whip my hair and the sheer joy of trusting this friend. We circle a big field of burnt ashes. I know it’s the place there… the patriarchy place… I know what she wants me to do. Throw up the ball of energy of “Only bad girls direct energy or dragons with their pelvis”. I can feel its tendrils come back to me, but I know that this adventure has been powered by nothing but kindness and love so I stand up, knowing I’ll keep my balance and throw it as hard as I can towards the ashes. Shiba buuuuuurns it to smithereens with her dragon breath. I freeze again. Shiba gives me the time to process this new level of power. She gently wiggles to remind me to relax my hips and soften into her again. I feel a pulse there. There’s a timid joy in my heart now, an innocent moment of awe. My heart pulses. I sit back down. I’m quiet. With a sweetness I would never in a million years expected. Shiba descends towards the Earth, let’s me descend back to the Earth, make me a little moss bed and tucks me in as I go to sleep. I feel awake and white and full of fire all at once.